McQueen hits theatres in June. Anticipated documentary about fashion icon, Alexander McQueen, is in theatres this month. Alexander ‘Lee’ McQueen was more than an acclaimed designer, he was an artist who transformed fashion into a performance piece, a theatre of the dark and grotesque. 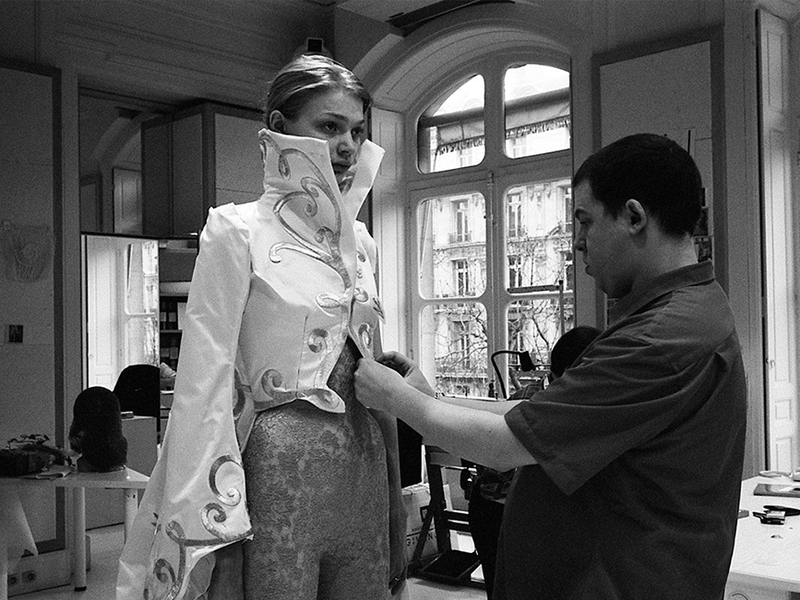 Classically trained at bespoke Savile Row tailors, Anderson & Sheppard, and earning an MA at Central Saint Martins College for Art and Design in London, McQueen was well aware of the rules and norms of conventional fashion. However, his meticulously tailored looks were often juxtaposed by a complete dismissal of tradition. Alexander McQueen played with the infernal, the cruel, and the beautiful in his catwalks, and it earned him a reputation for delivering boundary-pushing performances that incorporated technology, theatre, and fashion into a tragic spectacle. In one famous show, he had a model in a white dress stand on a rotating platform, while robotic arms used in car manafacturing sprayed her with paint. After his tragic suicide in 2010, the landscape of the fashion world would never be the same. ‘McQueen’ offers us a view into footage of the fashion icon at work in his studio, interviews talking about his inspiration, and his most powerful fashion statements. Directed and produced Ian Bonhôte, with music by Michael Nyman, we hope that this feature length documentary shines some light on Alexander McQueen’s genius, as well as his fateful passing.